Thrifty By Design: Upcycling workshop with Our Social Fabric is today! 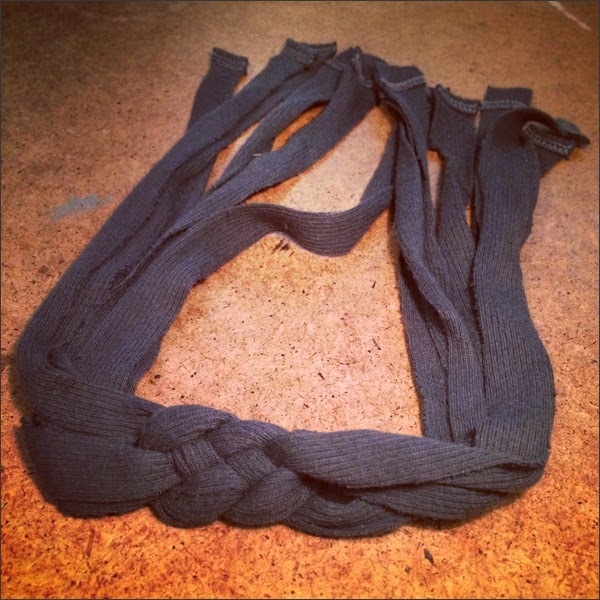 Upcycling workshop with Our Social Fabric is today! 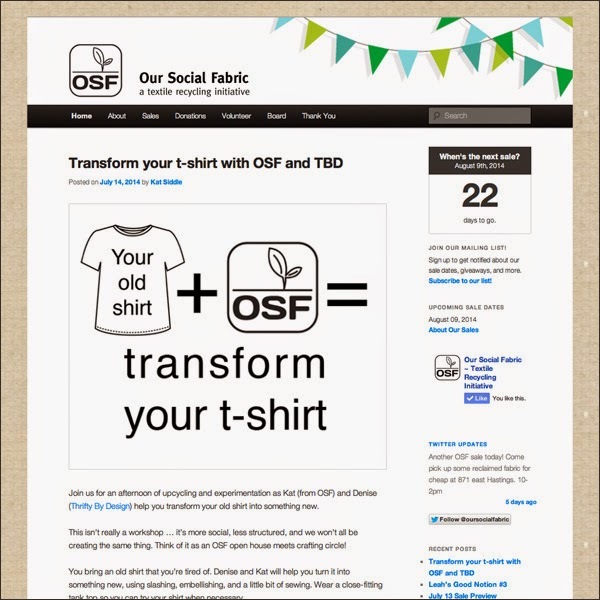 This afternoon is the Transform Your T-Shirt upcycling workshop with Our Social Fabric. We were going to bleach t-shirts but have now changed the workshop to a more general crafting circle set up. 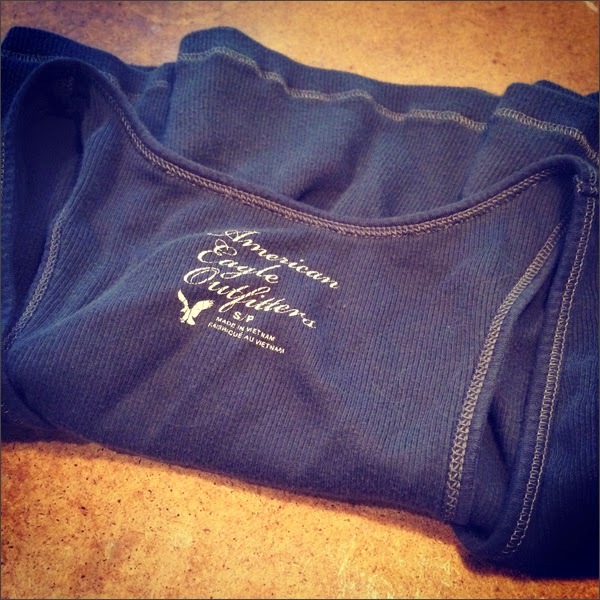 Everyone brings a t-shirt and we relove them... Maybe turn them into tanks, pillow covers... Maybe a funky headband! 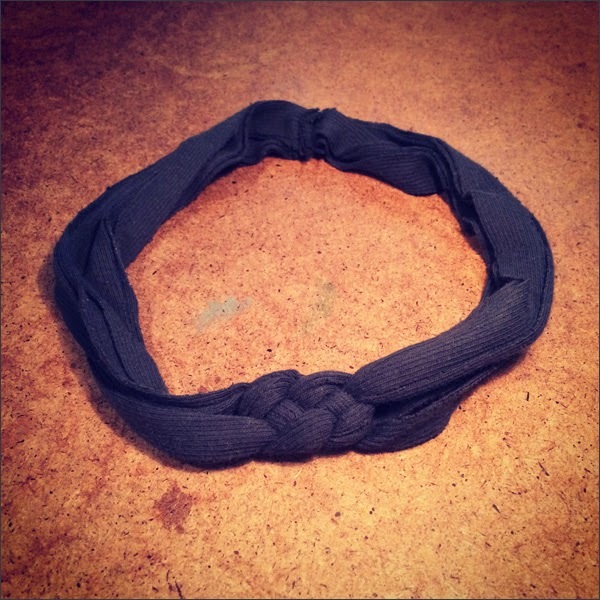 I decided to try an upcycling project I found while searching for ideas for the workshop - making a knotted headband with t-shirt yarn. I found this old and a teeny bit stained tank top to repurpose. I cut six strips that were approximately the same length. You then separate them into two groups of three strands. 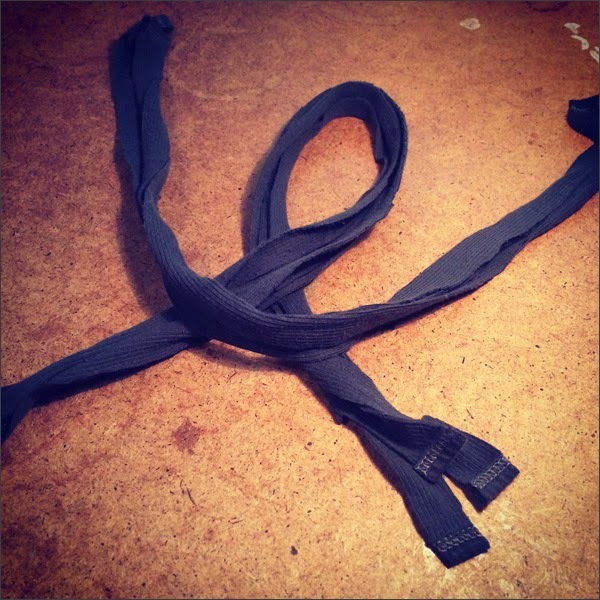 Watch this handy video for how to knot the t-shirt strands. It's super easy! 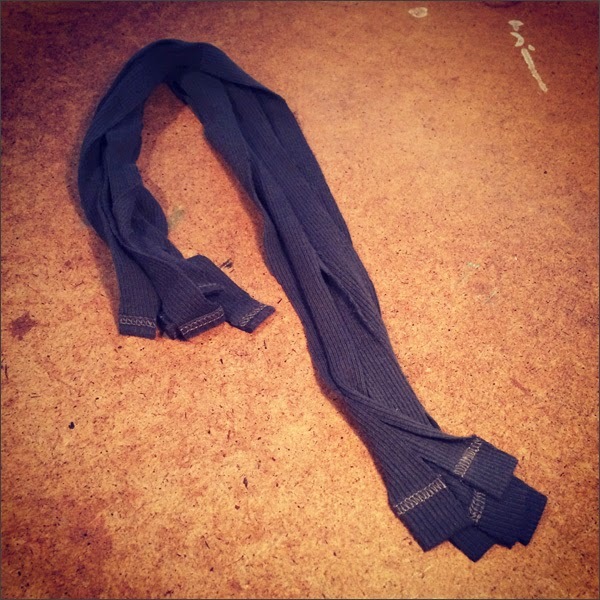 I then stitched the ends together and it was done! 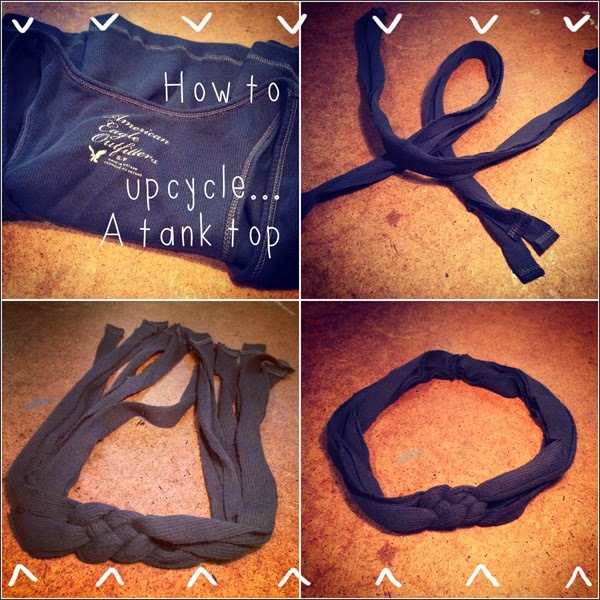 Such a fun and quick way to repurpose old t-shirts or tank tops. I bet I could make four or five headbands out of my old tank top! 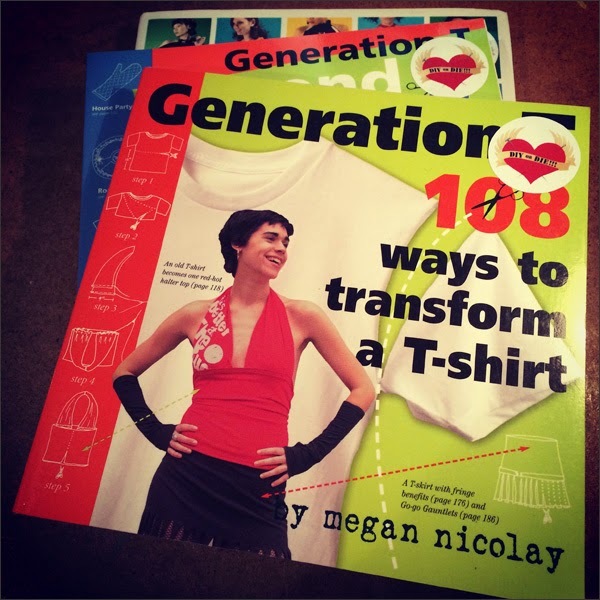 And thanks to my super awesome crafty peep Brigitte from DIYorDIE.ca we have a few books to help us in our t-shirt transformation adventures. And what a perfect day to be indoors repurposing old t-shirts... It's grey and wet out there!